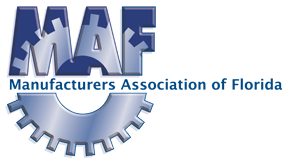 The permanent elimination of the sales tax exemption for manufacturing machinery and equipment (MME) has been a mission of MAF since our founding days. We are excited to announce this endeavor has finally become a reality! In 2016, MAF led the charge in this legislation which changes the landscape for manufacturers across the state. Our lobbying team met with each legislator from the Florida House and Senate to talk about the issue, why it's important and what it means to our state. Several of our manufacturers traveled to Tallahassee and testified in committee hearings and MAF leaders worked alongside Governor Scott's office each step of the way to ensure our top priority, and his, was successful. Saving the best for last, MME was the final bill to be heard and ultimately passed on the last day of session. Included as part of the House's tax package, the permanent sales tax exemption received strong support from both sides of the legislature before being sent to Governor Scott's desk for approval. The bill was signed by Governor Scott at a ceremony in Jacksonville on April 13, 2016. Senator Hukill, a bill sponsor, and MAF President Al Stimac were present to celebrate. Also in attendance was Volusia Manufacturers Association (VMA), one of our regional associations, and many manufacturers and industry supporters. This journey has not been short but it has been successful! MAF is very proud of the work done by our leaders, staff, members, partners and industry. Most importantly, our state leaders and policymakers. Governor Scott has been a tremendous advocate for manufacturing and his support has been the foundation for MAF's victory. Improving the business climate for Florida manufacturers.